Are We Still a Light Unto the Nations? The guest post that appears here was a very difficult one for me to post. I don’t like to share negative information about the Orthodox community with those who are not Orthodox, because the laws of lashon hara (gossip) teach that you should share negative observations only with those who are most likely to effect constructive change. Airing it to others is purposeless and damaging. Yet, the words that Tobey pens below are positive. While they include negative experiences, they teach how to use those to rise above. To transcend, and be a part of the conversation, and thus, part of the solution. After some soul-searching I decided that the piece was an important one to share with my greater readership. I trust you to see it for what it is: a complicated story of good and bad intertwined that ultimately arrives at joy and activism. If in the journey you feel inspired to improve and correct, my choice will be vindicated. I have not edited Tobey’s words at all. Below: Tobey Finkelstein. Tobey Finkelstein is an independent Jewish crowdfunding consultant, collaboration groupie, and part-time Jewish day school administrator with more than 15 years experience as a Jewish non-profit professional and in ecommerce marketing. Her current gig is helping the Jewish community gain the most from innovative, efficient crowdfunding techniques to help them spend more time focused on mission, less on fundraising, while maximizing support and providing a shared experience in working together. She initiated the first joint Jewish Giving Day, raising $1.36M, with a second pilot: MillionsforChesed scheduled for June 2. For a moment, the Jewish reader takes pride as Goethe recognizes our potential as a People. Meanwhile, in reality, it seems like every other month a new expose is being published about someone eschewing their Orthodoxy. How is it that the non-Jew looks in and marvels at the Jewish people, while practitioners within bristle to escape? Is one right, and the other missing something? I think it was Goethe who missed the mark. Yes. We personify creative energy. We are perpetual. But. There is no such thing as an insignificant Jew. Every single one of us is even more perpetual, more influential than he understood, making us even more prone to unraveling from within. I recently attended a talk given by Dr. Rona Novick, the Dean of the YU Azrieli Graduate School of Education and Administration. She reminded the audience that at about the pre-teen years, children are hyper-sensitive to adult hypocrisy. If we want to our children and students to accept our messages, we must practice what we preach. For the Jewish post-adolescent growing up in an ‘ultra-Orthodox’ yeshivah community, the marks are set pretty high for Jewish integrity and character. We grow up inundated with lessons that our forefathers and Jewish leaders in Tanach were above reproach, bordering on infallibility- and if we question, it is we who do not understand. Our leaders’ words are psak: literally stop. The general public cannot question them further. The problem is, each one of us embodies perpetual energy. Asking one of us to stop thinking and feeling and reacting is against our nature. And then the unthinkable happens: children becoming adults see how fallible the people held as communal role models can actually be. And instead of being able to question or worse, call anyone out – those role models are protected and their words defended. And as the reality of those role models becomes clear – the veracity of the ‘saintliness’ of our forebears and the truth of our teachings – all come into question. When the groupthink of a community hurts you, a significant Jew, while saying it values Torah, Shabbos, ahavas Yisrael, kiddish Hashem- you know something isn’t right. You can’t help but feel it no matter how hard you try to justify it intellectually. In fact, you recognize hypocrisy or feel betrayed. Some people in this position live with it quietly, while others leave screaming and shouting. They say you can never judge a man until you’ve walked in his shoes. I’m familiar with this pair of shoes – the ones worn by people who want to leave Orthodoxy. My story is different from most. I was born in Korea and adopted by a single Jewish mother who was not Orthodox, but growing in her observance. After converting at age 11 and attending a community day school in Dallas, TX for four years, I entered a Bais Yaakov in 8th grade. When my mother first applied, my sister and I were rejected, because the school didn’t think we’d fit in as a single-parent household. My mother holds two graduate degrees and helped pass US legislation in the mid 70s to bring my sister and me into the US as our adoptive single mother – she wasn’t falling for that. Of course, the school was convinced otherwise, and the administrator graciously apologized. The conversation continued into my poor choice of trying to get into her seminary by trying to flaunt this difference. My friends were down the hall thinking I must be doing great, because she had kept me so long in conversation. Instead, I ran out crying and confused. I got over her and assumed she was just one jerk in a sea of people who accepted me. Then it came time for me to date. My friends were going to shadchanim. Often, they’d go in small groups, so I tagged along with one of my friends to the local yeshivah shadchan. After quite a while of conversation between my friend and the shadchan, it became quite obvious that I was being completely ignored. My friend even began mentioning that perhaps the shadchan might want to speak to me, as we were wrapping up. After a polite, “what are you looking for?” that was the end of my conversation, completely unlike that of my friend’s. Again – just another individual. Then it happened again, in another shadchan’s office. I stopped going to shadchanim, even though, supposedly, this was THE way to meet the type of people I wanted to date. One afternoon, sitting in my friend’s house, her mother mentioned, “Oh, did you hear there’s a new Asian Jewish guy who moved to town?” Of course I had. “Why don’t you go out with him?” While one of my best friends knew him and was pretty sure we weren’t compatible, from what she had told me, he sounded like he might actually be compatible with this woman’s daughter. So I said, “Actually, I thought he might be good for your daughter.” Then she said, “You know I love you, but I wouldn’t want someone like you in my family.” I chuckled politely, because what else do you do when an adult you’ve known for years punches you in the stomach? While many in the Jewish community will point to the sometimes obvious dysfunction in the authors’ of these memoirs lives as the true cause of their disaffection for Yiddishkeit, I can’t help but wonder if having looked around and seen overwhelming, accessible warmth, integrity, and beauty elsewhere in their community, they wouldn’t have just left their bad situation and not their community. Finding the personal strength to stay when you know you’re not welcome is not easy. When you look around and people you thought you knew or were upheld as ‘the best of the best’ weren’t accepting you or betraying principles they espoused – it is not rational to stick around. Most of all, if they’re hurting you or people you love, of course you want to leave. I asked my friend to ask her rabbi father whether someone could go back on their conversion if they’d converted before Bas Mitzvah. No dice. My intellectual investment at that point was too great to believe dropping everything wasn’t without true, spiritual impact. Plus, I couldn’t help wondering why Hashem sent a single Jewish woman on an uphill battle against a prohibitive social climate and legislation to adopt my then deaf sister and bring her thousands of miles back to the US, later to become observant Jews. She actually hadn’t intended on adopting two children – I was an unexpected surprise. During those years of disaffection, it actually felt really unfair – and completely accidental. Maybe I wasn’t really meant to be here. But, I stayed in. Now, I recognize fully that a large swath of people I consider ‘my community’ don’t fully accept me nor will they accept my children – not based on halachah, but on small-mindedness and undeveloped ahavas Yisrael. I also recognize that they will not even recognize that they don’t accept us or that this as a short-coming – and feel that I should accept this as normal. It still hurts. It will definitely hurt even more if and when my children experience it. So, I bristle at the vast amount of attention focused on the minutia of halachic technicalities of ritual practice – and not on scrupulous dinei mamanos, onaas dvarim, ahavas Yisrael, and the like. I am not satisfied with our communal religious priorities. But I don’t want to get stuck in that space. I know my priorities; I love being here and a part of the Jewish community. Why should I lose out because of others’ shortcomings; I want to stay and help improve the space. I’m not here begrudgingly, I’m here proudly. I recognize that we’re ALL fallible. BUT. Our standards are high and our potential is vast. Including my own. If I step out, just shrug my shoulders, or become complacent with the niche I’ve carved out just for myself – I’m shortchanging myself, my friends and family, the entire Jewish community, and the world. Kol Yisrael areivim zeh bazeh. I have not stepped out of the community, because I want to be part of the conversation. In 2001, on the morning after 9/11, I delivered the world’s largest Rosh Hashanah card to Israel from 40,000 Jewish children on six continents. In 2006, I designed a project that had 5000 Jews send Rosh Hashanah honey and cards to 5000 non-observant Jews through Project Inspire. In 2015, I helped 19 Jewish outreach organizations raise $1.36M in 24 hours. On June 2nd, I’ll be running an online Giving Day that will invite the entire Jewish community to help Jewish Chesed organizations raise $4M in 24 hours online through MillionsforChesed. These beautiful organizations ensure that when we, our friends, or neighbors are in need, our community is there to help. In this Giving Day – ALL levels of donations are critical and impactful. Each organization will have three big matchers to match all the crowdfunded donations, effectively quadrupling all donations, but it’s all or nothing. If the community doesn’t meet their total goal in 24 hours, none of the donations will be processed. As a Giving Day: ALL organizations must meet their goals, or none will collect. They become completely interdependent – as we all truly are. The model is Jewish: it’s areyvus, and it’s exponentially more profitable for organizations than any other crowdfunding model, which could help all kinds of non-profits improve on their efficiency and fundraising. However, this level of areyvus: all for one or none for all, I would never have dreamed setting as a condition in any other community. Deep down it’s there, we just need more practice. But my greatest contribution to the Jewish community to date: my three gorgeous, well-loved, creative-genius children, ages 8, 5, and 2. I can’t wait to see how they contribute. I would not be the same without the Jewish community, and it would not be the same without me. When it works, it’s so sweet. It’s worth the uphill battle. That goes for every Jew. Every Jew who sits next to me is a world of unlimited potential. They may not look like it – I sure don’t. But whatever their shortcoming – even if it’s one that hurts me – never discount their value to the Jewish community or to you. That disapproval must remain directed solely at actions – and recognize that it is just one part of a person- the not important part. True, it should be worked on. More important: accept and encourage the rest of who they are. Encourage every single Jew you know to excel in whatever he or she is doing that is Jewish or Godly, even if they’re not excelling in “Jewish” areas. And of course, not everyone will do this or even agree. But for those of us who do see and understand it- then we have to be active in encouraging this potential in ourselves first, then our community. Each of us is great. We are perpetual energy. We can be a light unto the nations – and our own nation, but it begins with a single spark. “Each individual has the capacity to build communities and endow communities with life… so that every community member becomes a source of inspiration.” R’ Menachem Mendel Schneerson. Wow. Thank you for being here. Such an important perspective and so beautifully said– all of it. Ouch! You have a beautiful Jewish family. Thanks ;)! And thanks to all who've shared via facebook. It's heartening to see the feedback online. As I replied to one of my friend's comments on fb: We all gotta speak up for the cause: Authentic jewish goodness. mutual respect. forgiveness. understanding. compassion. integrity. One word: Godliness. Tobey, what are your thoughts (per a conversation on Facebook) on "speaking up for the cause" vs. the laws of lashon hara (not badmouthing a group of people, even without naming names) in a public arena? While I also get annoyed with people who focus on "the minutiae of halachic technicalities of ritual practice" rather than ahavat Yisrael, those people are actually the least likely to reject you since, after all, halachah accepts you wholeheartedly. It's the ones who yearn for some idealized image of the way things were in Poland (e.g., without the starvation and antisemitism) who are likely to be less accepting. Should we scream about every ill publicly? No. But WE SHOULD BE WORKING ON THEM PUBLICLY. Our reaction to hearing our issues shouldn't be: That person didn't belong / had something wrong with them / is the exception and it has nothing to do with me / etc. It should be taken as an opportunity to look in the mirror. Improve. Apologize. Forgive. Get to work. Because – every single one of us is significant – we improve as individuals and worlds of improvement can follow. I have young relatives who suffer from severe peanut allergies. While the schools made rules about peanut restrictions, other parents still send in items that 'may contain peanuts.' This wasn't in her hands alone – she needed the group to buy in. So, my cousin-in-law got herself on the school board to enforce stricter policies AND she spoke to the students in a school assembly VERY directly about the harm it causes to her daughter. These children are more vigilant than their parents – more careful about what they bring. My son is in a peanut-free school – he is more careful, checking what I send, because he knows the kids, everyone's on board – and now he gets it more than I do. Telling people not to send peanuts – without illustrating to them who / how the person is affected / knowing everyone else's on board- while a good effort – is not as effective. You need group buy in – and to do that doesn't just mean telling them to do what you say. To make positive change on communal areas that need it – we need to be able to relate – and it needs to be communicated to a group. We need to see "the harm it causes to her daughter" – individuals: our friends, neighbors, etc. By telling people: "superficial ahavas Yisrael isn't enough" – without illustrating through personal examples – isn't enough. But let's do it with purpose: to improve. We have to take a look in the mirror – and sometimes hold up that mirror when it's necessary – and if we think no one else saw it before / we can conceal it, we are kidding ourselves. Never mentioning in public any of our "room for improvements" is inauthentic and undermines trust. Come on, who's perfect? It's okay if we're working on it. Actually – it's amazing that a COMMUNITY would value working on itself as a community. Calling yourself out when you're headed in the wrong direction, so you can get back on track? How awesome is that?? How beautiful is a communal value on self-improvement? I've been thrilled at how much this has been shared and the 0 times I've heard: how can she say that?? So yes – I think it's good to work publicly on ourselves as a community. We do it all the time and should continue to grow in addressing different types of abuse, mental health issues, dishonest business practices, etc. Not because otherwise we'll look bad, but because we need to grow in these areas, help those in our community the best way possible. Say we're behind the times in one of these areas – so what? We need to catch up for the benefits – not to save our image. We need to help ourselves live our values – not act like a PR firm. Imagine if my cousin would have had to call every family in her school separately? a. Inefficient. b. You also lose effectiveness: Does everyone know? Is the group buying in? If not, what does it help if I stop buying granola bars if everyone else will still be doing it? And sometimes, it helps to know others are looking in. Happens all the time: the benefits of external motivation. Tobey, you are so right in your comment about needing to help ourselves live with values and not act as if we are running a PR firm… can we post that on some lampposts?! Here, here!! I have no doubt that you're correct that there is still much we can improve upon, but I don't know if the title was fair. I submit that yes, we are very much a light to the nations. Nevertheless, there is much we can improve upon. I attended a Hatzalah event in BP last evening and walked away incredibly inspired at all the good that our community does and the values we represent. Not only is Hatzalah a world-class example of kindness, generosity, and self-sacrifice, but to listen to the women who spoke last night was absolutely breath-taking. 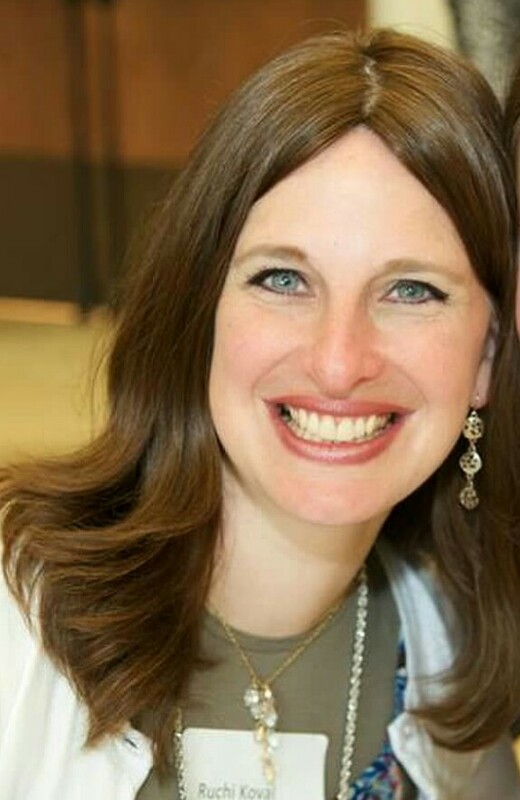 To hear a woman describe the life she leads with a husband stricken with ALS and the emunah and strength that carries them through all challenges, is to hear greatness itself. To hear from others about the private kindness that others do to assist this family is to understand the incredible nature of the Jewish community. To hear a woman spreak about her brother – a long-time Hatzalah member – and how he and his wife and children sacrifice everything for the cause of helping another person [not only Jews] at all hours of day and night – is to realize that while your points are valid and we need to become more tolerant, there is still so much greatness within our ranks and we must celebrate that greatness and not only focus on the negative and pretend that this is what we're all about. So my response to your opening question is: We Are Most Definitely a Light to the Nations however we still have areas that require improvement. Thank you so much for sharing your experiences and observations with honesty. I'm an Orthodox Jew who I guess you could call bi-racial. One of my parents is a Jew of Asian descent, and I have inherited many of the same beautiful Asian features as your children have. I used to get a lot of Asian-themed birthday gifts as a little kid, like chopsticks, panda bear teddies, and 'Mulan'. I was a little confused, but I didn't think much of it. Pandas are cool. The nazis yemach shemam made it clear to my family over sixty years ago that we were not ethnically "white." But due to my negative experiences, I find I identify more with my European/Caucasian heritage. I don't talk much about my Asian ancestry because, as you've shared, there are unfortunately bad apples out there who unfortunately don't see the beauty in having such unique traits. I'm sure that a lot of these people aren't genuinely bigoted or racist, only a little shocked that Jewish faces can be *that* diverse – and this shock makes them say and do things that they likely regret later. Am I at all ashamed or resentful of my Asian ancestry? I don't know … I think I've been made to feel that way at times. Do I feel a connection to Asia or Asian culture? Not really. (As a Jew, I have little interest in making a culture whose values conflict so much with the Torah's laws a big part of my life.) But the fact of the matter is, I'm here and Hashem put me here, the way I am, for a reason. Reading your story comforts me that I'm not the only one with these conflicts, and it inspires me greatly. If we encourage more people to think farther outside the (Ortho-)box, a little at a time, hopefully the frum world will be a more accepting place for our descendants. :). So cool. Right on.